Brazil is one of the world’s fastest growing mobile markets. Mobile and tablet-based purchases in the country are above the world average, and Mary Meeker’s 2015 Internet Trends Report identified Brazil (along with India and China) as one of the top countries leading smartphone usage growth. Catching onto the country’s widespread mobile adoption, three Brazilian entrepreneurs saw an opportunity to redefine the consumer research industry. They founded PiniOn in 2012, creating an app that invites consumers to complete interactive surveys, or “missions,” sharing their opinions of various products and services. So far, PiniOn’s mobile crowdsourcing platform has 164,000 users, and insights from the app have helped Pepsico, Unilever, Nestle, L’Oreal and other major brands better understand their audiences and successfully scale in the Brazilian market. Here’s the story behind the rapid growth and success of PiniOn’s mobile-first strategy. In late 2012, Eduardo Grinberg and João Paulo Faria called Ygor Lemos with a crazy request: develop an app in one week. Grinberg and Faria—now CEO and COO of PiniOn, respectively—had gotten initial investor interest in their startup idea to build a mobile research platform for collecting and analyzing rich consumer feedback. To continue the conversation, they needed to present the investors with a functional, fully-formed beta version—and they needed it fast. As an experienced mobile app developer, Lemos was familiar with this sort of challenge, but had never had to build something in such a short timeframe and with zero budget. Nevertheless, he agreed. One week later, PiniOn was born. Lemos, now CTO at PiniOn, presented the first version of the native app that he had built with the Appcelerator Platform. Seed funding followed soon after. By January, the PiniOn app went live in the App Store. Shortly after, it was on Google Play. The PiniOn app works by challenging users, or “Opiners” (pronounced oh-pin-yers), to game-like surveys called “missions” that are customized by GPS location and self-reported demographic information. With interactive questions and dynamic forms, each mission assesses the Opiner’s perception of a particular PiniOn customer’s product, service, experience or brand. Sometimes, the app asks the user to upload a photo to help illustrate his or her response. All data then goes through an algorithmic approval funnel, which verifies and distills the data in real-time to relay back to the PiniOn customer. Armed with this data-driven feedback, a PiniOn customer can see a clear picture of how real people interact with, feel about and actually use its products or services in the real world. In turn, Opiners receive cash rewards typically between $3 and $25 per completed mission. With geo-fencing technology, PiniOn has been able to take consumer insight to a richer, more contextual level. Special “geo-missions” engage with consumers only when they’re at a specific venue, event or within a defined geographic region. This is helpful for retailers who need insight into a particular store location, whether they’re measuring perceptions of the store’s layout, new product offerings or customer service quality. 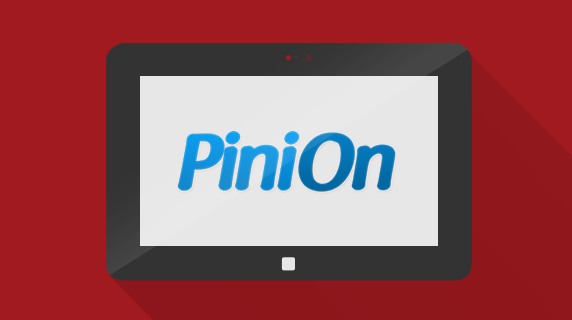 With PiniOn, they can get real-time opinions from the right people quickly and easily. Recently, PiniOn worked with a major food company in Brazil whose multimillion dollar advertising campaign was performing poorly. In less than two weeks, PiniOn collected customer feedback at multiple points of sale, pinpointing specific areas of concern and ultimately helping put the campaign back on track. PiniOn’s unique ability to quickly reach the relevant audience at any given time has also been put to use in the political arena, helping candidates measure campaign progress. For example, the app collected live feedback during the 2014 governor election debates in Rio de Janeiro, by asking 4,500 Opiners how they felt about the candidates’ debate arguments, stances on political issues and on-camera presence, among other factors. To prove they were actually watching the televised debate, Opiners were asked to send photos of their TV screens. The PiniOn founders built their company with a mindset that’s not only “mobile-first,” but mobile-only. A polished cross-platform app helps brands reach hundreds of thousands of consumers across Brazil, targeting users by demographics and location. By tapping into PiniOn’s engaged consumer base, brands have quickly uncovered real-time, context-specific feedback in a way that wouldn’t be possible with face-to-face or traditional consumer research techniques. 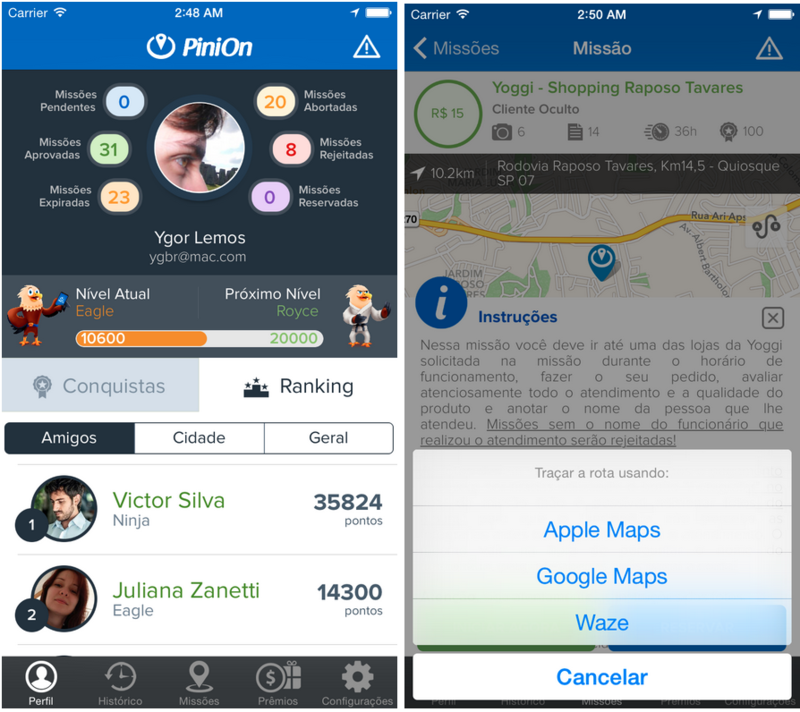 And for PiniOn, it’s a model that’s scalable beyond Brazil—with 164,000 users and growing, as well as app versions in both English and Portuguese, the company plans to expand its mobile model to North America, Europe and the rest of Latin America.